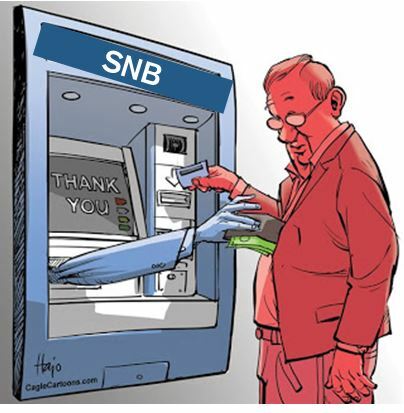 SNB intervenes for 6.3 bil francs in the week ending last Friday. Once again a record high since January 2015. 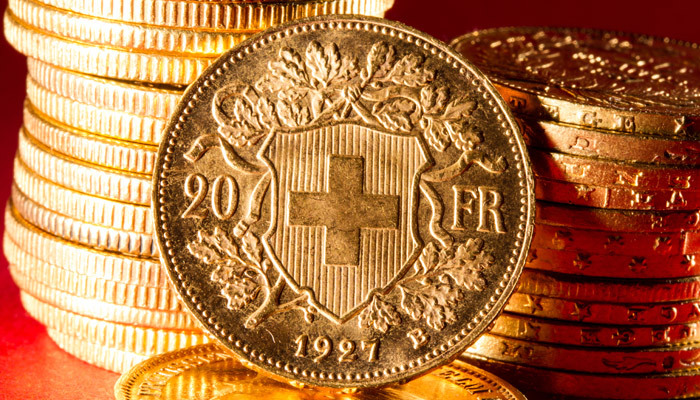 The SNB raised the intervention level to 1.0850. Apparently conversion of GBP->CHF flows into GBP-> EUR flows – via EUR/CHF purchases. Speculators: are long CHF 10K contracts against USD versus 6.3K last week. 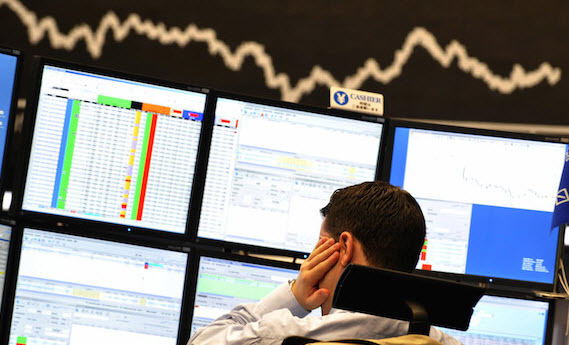 A share of 20% equities is too much for a conservative investor. 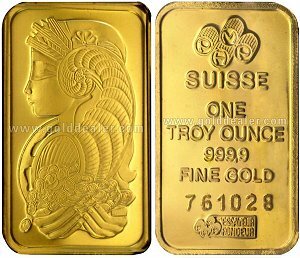 - She increases the CHF debt with continuing interventions at a pace of 10% per year. 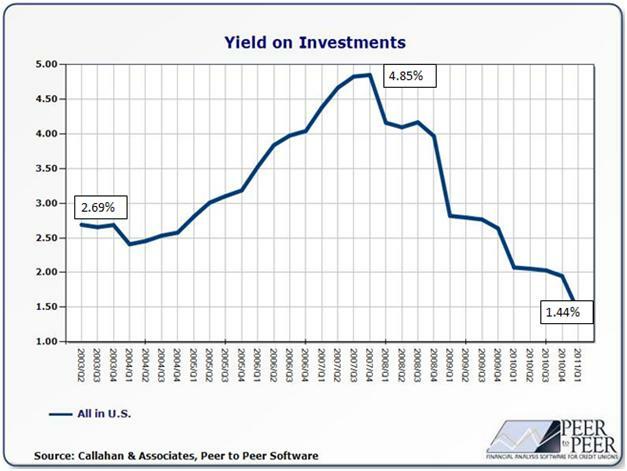 - yield on bond investments is less than 1% p.a. and equity markets might not improve a lot any more. - Expensive dollar: she bought U.S. equities when the dollar was relatively expensive. 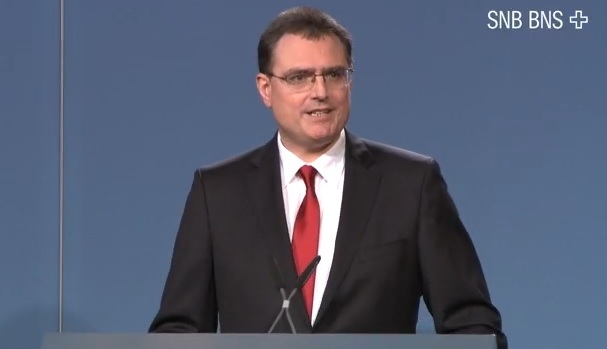 SNB Results Q1 2016: Two thirds of SNB profit comes from Gold. Deflation helps with higher bonds prices and profit on negative interest rates. 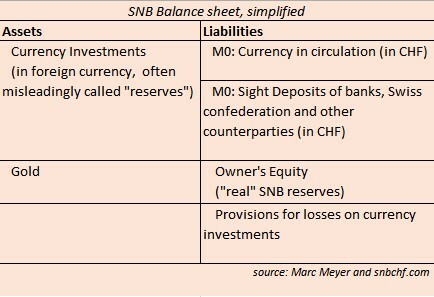 The Q1/2016 update on the SNB investment strategy and its assets. 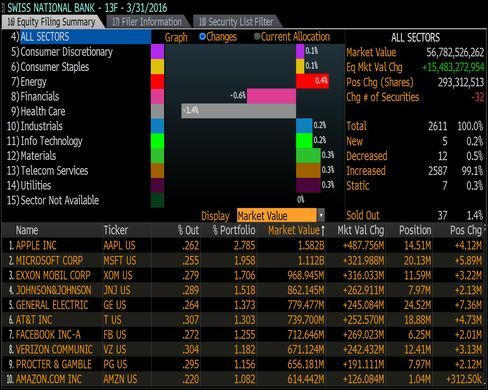 The Swiss National Bank is a passive conservative investor. As opposed to other investors, the exposure in currencies is as important as the strategic asset allocation according asset classes (bonds, equities, cash, real estate). 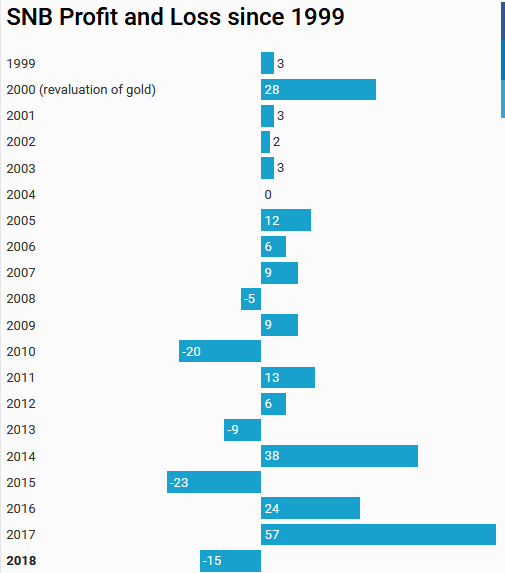 The importance of currencies is one reason why the SNB is often called a hedge fund, the second the volatility of gains and losses. 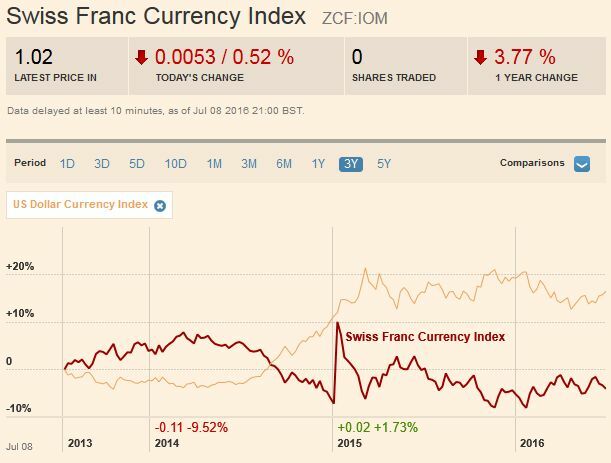 April 2016: SNB running suicide again? 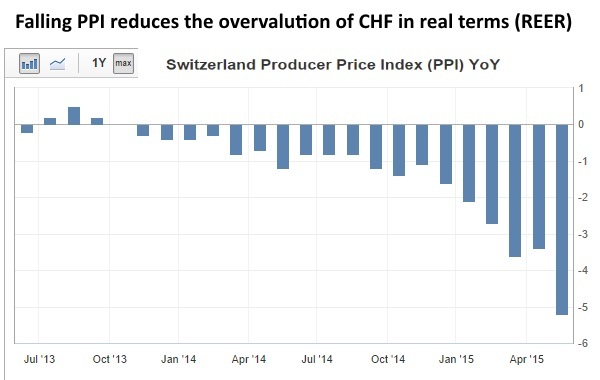 Speculative position: Speculators are even longer CHF (against USD): +9410x 125K contracts. 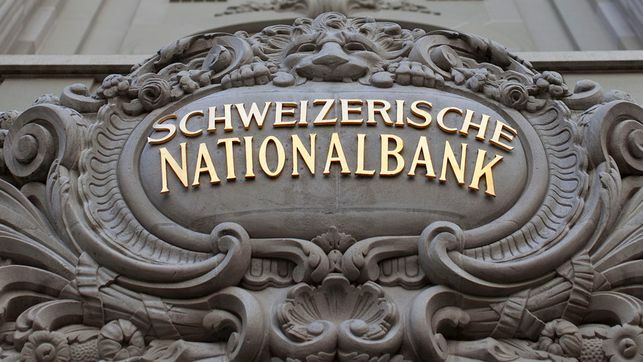 Sight Deposits: SNB intervenes for 6.4 bln. CHF in only three weeks. Sight deposits (aka debt) are rising by nearly 1% per month, this is 10% per year. The SNB can never achieve such a yield on investment, her yield is between 1 and 2 percent. Is the bank running suicide again? 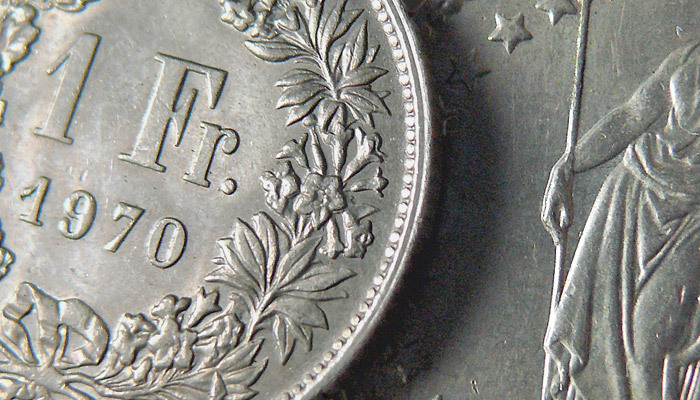 We examine the SNB monetary assessment statement of March 17 and the Swiss economy. We explain why negative rates may be a "toothless measure" if a central bank wants to weaken a currency. 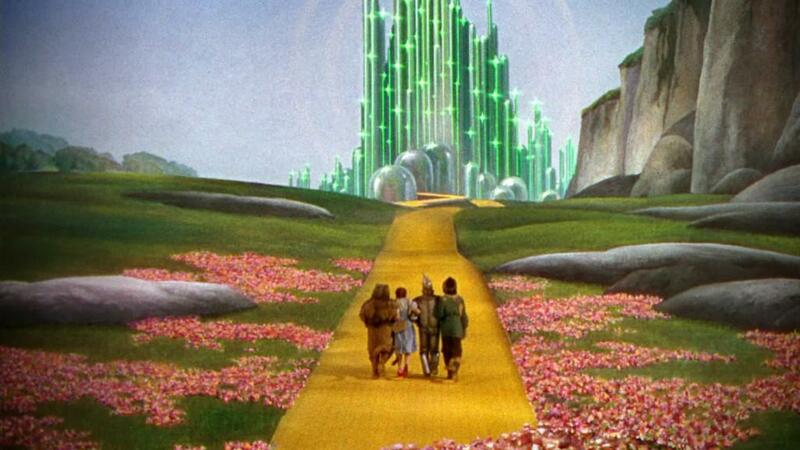 They have rather an inexpected consequence, they slow down GDP growth, in particular for banks and pension funds. 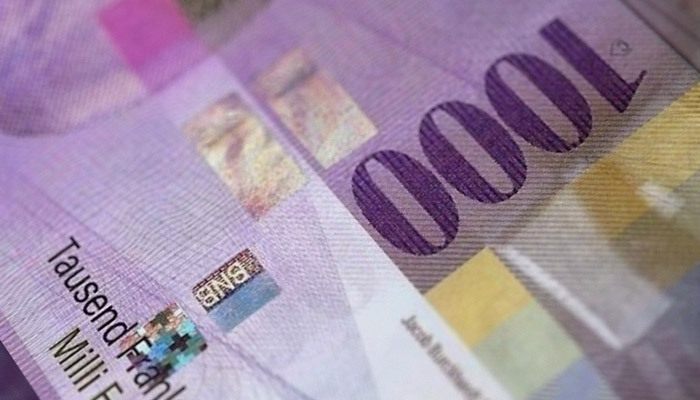 According to the latest news release, the Swiss National Bank expects an annual loss of 23 billion CHF, after reporting a loss of 50 billion at the end of June. Primarily thanks to the stronger dollar, the SNB was able to achieve unrealized gains of 27 billion CHF in the second half. This reduced her annual loss to 23 billion. With its rate hike, Fed is helping the SNB: the dollar has appreciated by 6% since July. 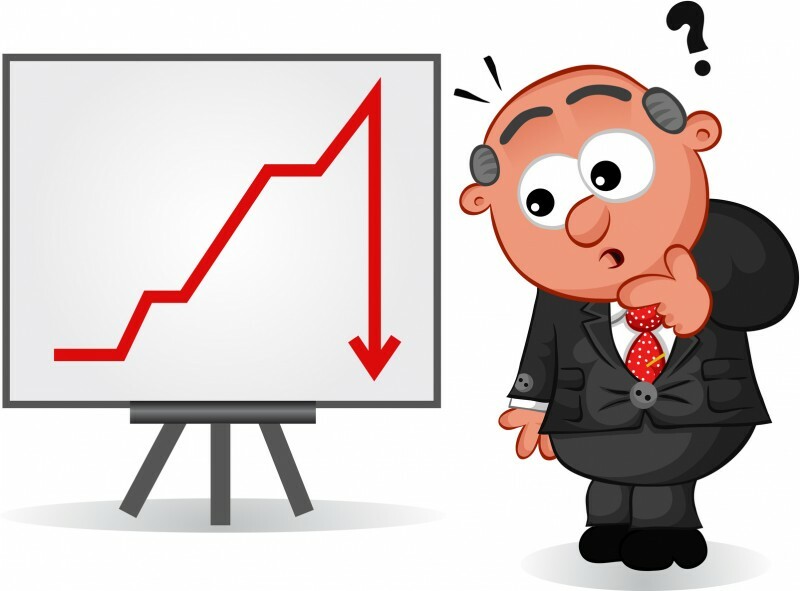 Monetary assessment meeting Swiss National Bank: My real-time tweets contain the main important points of the SNB meeting from the view of investors or FX traders. We explain the risks on the rising money supply in Switzerland. 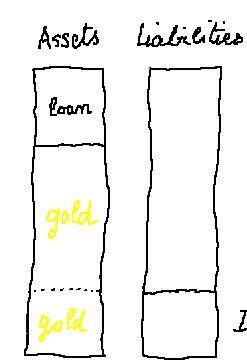 We distinguish between broad money supply (M1-M3) and narrow money supply (M0). Both are rising quickly. 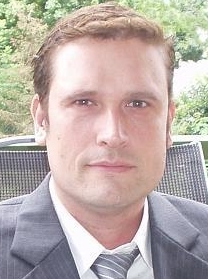 Will SNB FX Investments Yield Enough Until U.S. Inflation Starts? 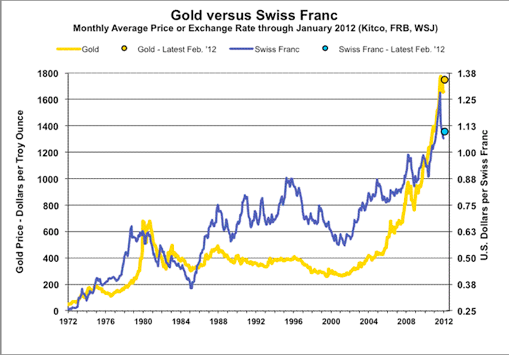 Will the SNB be able to survive an upturn in inflation: We focus on income and yields for foreign exchange position and gold and find out if the SNB makes enough income to survive a franc appreciation. 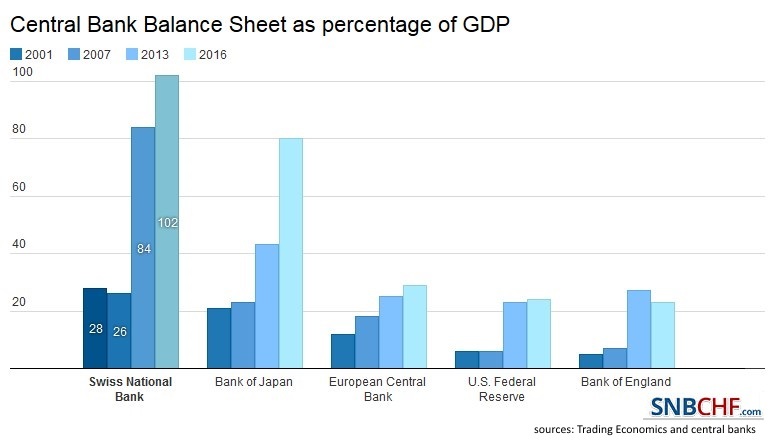 Before the upcoming SNB monetary policy assessment meeting on June 19th, rumors started the SNB could follow the ECB and set negative rates on banks' excess reserves. 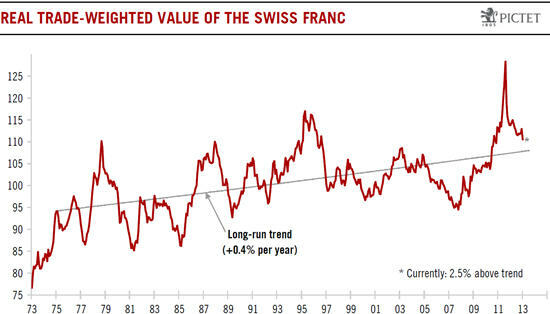 We would like to deliver the whole background, starting with the question why Swiss inflation has been so low in the past and why CHF always appreciated.